Brandon here, back with a big new update and exciting news on the Blog! I’m excited to share this with all of you now, if you follow me on the email newsletter (it’s definitely worth it! You can sign up on the right sidebar if you’re not already) you’ve likely already heard the good news and possibly already taken advantage of it by being one of the first to pre-order at the lowest price. So the big news and update: I’m making a Civil 3D Crash course and guess what, it’s almost here! I’m so excited to share it with you all and because of that, I wanted to extend my pre-order (early bird pricing) to all of the CAD Intentions readers, subscribers and viewers first before making the course widely available to everyone when it launches/is available in September (the 10th to be exact) and give you all a chance to pre-order it at the lowest price before it goes public on the Site and in the Gumroad marketplace at the regular price ($150+). 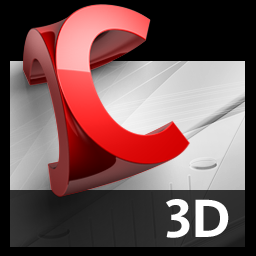 I’ve been asked a lot in the past about making more Civil 3D tutorials and training, in particular helping people get started with C3D in a quick and easy way without getting too advanced or confusing for new users and those looking for a quick refresh. That’s why, in the Civil 3D Crash Course, I wanted to make a point of taking out all the extra and initially unneeded information and filler that you get in regular civil 3d courses and focus on getting you started and using C3D as quickly as possible. The Civil 3D Crash Course is a perfect way to learn the basics of Civil 3D quickly by going through real-world and usable examples in a step by step process that you can then use for your own projects almost immediately. We will go through 2 examples of grading projects from start to finish. A pond/berm grading including a Finished Surface and how to export it, as well as creating a section to show the pond design and compare to the original ground. The other example we will go through is a Site grading where we will grade an untouched lot to a specific grade as well and tie it into the existing ground, this would be like grading a new building lot. A more in-depth task that will showcase and explain a variety of C3Ds features, including; Alignments, profiles, assemblies, corridors and more. We will go through basic calculations using our real examples so you can do them yourself right away. — Including, editing and creating styles for surfaces, profiles, labels etc..
Once again, I think this compact and to the point course will be a huge benefit and valuable resource for anyone that would like to learn some Civil 3D without investing a lot of time or money and will be able to come out of the training feeling comfortable with the basics of C3D! As always, thank you so much for reading, subscribing and being a part of the CAD Intentions community, if you have any questions at all don’t forget to leave a comment below.